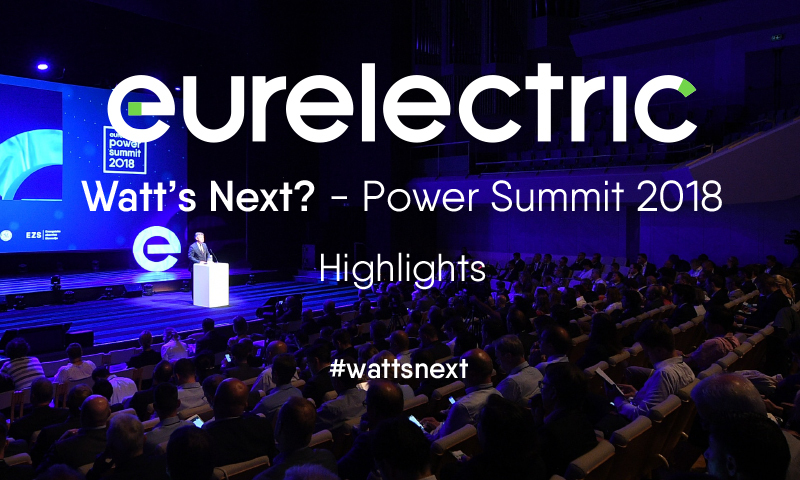 Eurelectric – Powering People - Eurelectric Power Summit 2018 - "Watt’s Next? New Players, Products and Peers"
Eurelectric Power Summit 2018 - "Watt’s Next? New Players, Products and Peers"
Watt’s next? The energy industry is at a tipping point. New players are entering the business. New products are disrupting markets. Customers and business relations are being revamped. Who knows what’s next? At eurelectric's Power Summit business disrupters and industry captains will trigger participants to look into the future. What is the potential of an increased use of digital platforms across the energy system? What does it take for industry players to integrate sustainability objectives as ultimate business goals? How fast will carbon free electricity speed up the decarbonisation of other sectors? What solutions will future energy companies offer to enhance consumer relationships and engagement? eurelectric’s Power Summit is the leading forum where the power sector's ecosystem connects, offering unique networking opportunities for European and international power sector executives, business stakeholders and partners. The programme will include a side event on the energy transition investment challenges in South-Eastern Europe and an exclusive site visit to a hydropower plant. An Energy Innovation Space will complement our exhibition giving the opportunity for innovative energy start-ups to meet and engage with established industry leaders and pitch projects. Several social networking events are also foreseen over the two day Summit.